Looks like we're in the wrong job! Sometimes you report on a story that makes you genuinely question your vocation - because winning a huge prize pot just for playing Minecraft sounds like a life we could live quite happily. And that's exactly what a class of middle-schoolers did in the US, bagging the top prize in a pro tournament. The young Minecraft whizzes (called, obviously, Live4Craft) from a school in Maryland entered the Super League Gaming World Championship and bested 450 other groups to win to the event. The group of five, made up of 10 to 14-year-olds, played a variety of modes including PvP battle arenas and survival challenges before bagging the top group cash prize. The top prize for a single competitor, a cool $5,000, also went to a young 'un. 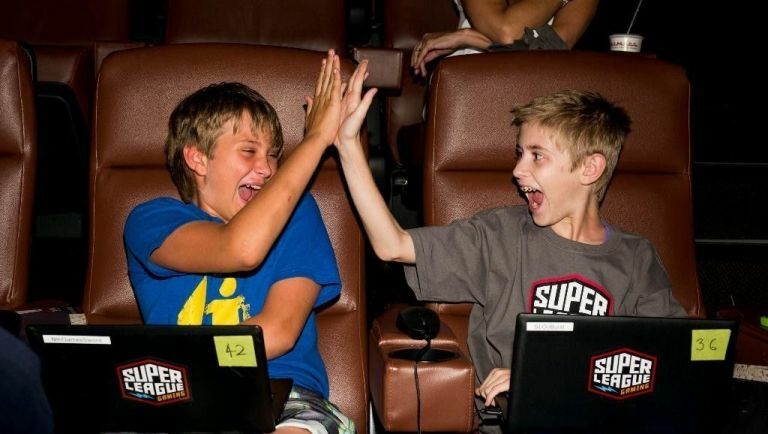 10-year-old Californian Julien Wiltshire, who had the highest overall score at the end of the four week-long tournament, bagged the scholarship prize, beating 2,000 other wannabe winners to claim his second Minecraft championship. Not bad for sitting in a theatre playing Minecraft on your laptop. So what's the morale of this story? Play Minecraft. Get good at Minecraft. Enter lots of competitions and win money for making huts, cooking beef and slapping cows.